Vivekananda Institute of Technology, Bangalore is a reputed institution for professional education. The institute offers MBA, M.Tech and engineering courses. The Oxford College of Engineering, Bangalore is a reputed educational institute. It is rated among the top B-schools in Karnataka. It offers MBA courses. Justice K S Hegde Institute of Management, Udupi is a reputed B-school of India. The institute offers MBA degree. It is a popular B-school in Karnataka. Guru Nanak Dev Engineering College is one of the best engineering colleges in Bidar, Karnataka. This engineering college offers civil, mechanical, computer engineering and MBA courses. The Gogte Institute of Technology (GIT) in Belgaum is one of the best engineering colleges in Belgaum, Karnataka. Read on to know more about the courses and other details of this engineering college in Belgaum. AGM Rural College of Engineering and Technology, an engineering college in Hubli, Karnataka offers various kinds of engineering courses, 3D modelling etc. Read on to know more about this engineering college in Hubli. GSSS Institute of Engineering & Technology for Women, an engineering college in Mysore, offers premium education to its students. Read on to know more about the courses and facilities at this engineering college in Karnataka. Dr. Ambedkar Institute of Technology is an autonomous engineering institution. Read on to know more about the courses, campus selection and other facilities in this Bangalore based engineering college. 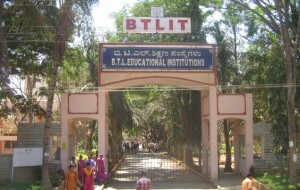 BTL Institute of Technology & Management is one of the leading engineering colleges in Bangalore. The courses on offering include engineering degree, MBA and M.Tech.